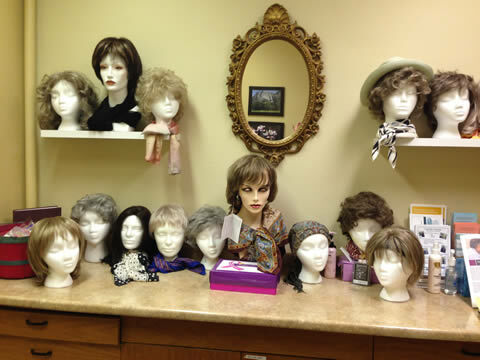 Try on and take free wigs, hats and scarves. Learn about programs, and help yourself to literature. If you prefer to schedule an appointment leave a message and someone will contact you. Walk from the reception towards the gift shop. Turn left at the gift shop. Turn right at the elevators, past the xray and blood labs. Continue west down the hall towards the old ER. The cancer corner is on the left just before you reach the door leading outside. the Los Alamos Council on Cancer. The Cancer Corner has programs and services to help people with cancer and their loved ones understand cancer, manage their lives through treatment and recovery, and find the emotional support they need. And best of all, our help is free. 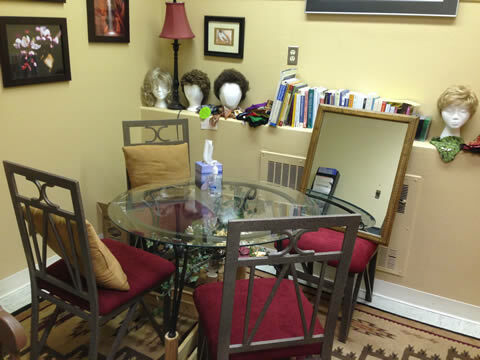 We are able to offer FREE wigs, accessories, and/or styling services. This program is open to all cancer patients regardless of income or health insurance status. This program is provided by the American Cancer Society.